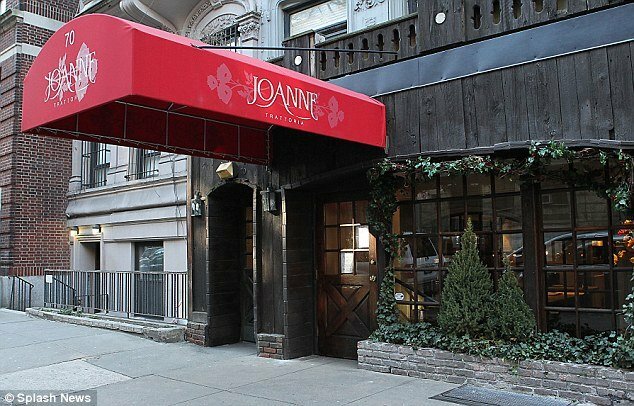 Joanne Trattoria, the Italian restaurant owned by the parents of Lady Gaga, has been slammed once again, this time by the New York Daily News, which called it “worse than herpes”. But after Lady Gaga blamed her family’s Upper West Side restaurant for her recent 25 lbs weight gain, can the simple family establishment, owned by Joseph and Cynthia Germanotta, be that bad? While paying diners appear to agree with Lady Gaga since the spot opened its doors in February, it has received only scathing verdicts – the latest published on Wednesday in the New York Daily News. After the New York Post’s surly Steve Cuozzo popped in for what he called “a 2 1/2-hour meal that seemed like as many days”, and described the interior as a “brick-walled affair of the sort considered cozy in certain Brooklyn neighborhoods, but which in these parts registers as plain cramped (and loud as an avalanche)”, it seemed the only way the restaurant could go is up. But despite the trattoria’s celebrity connection (Lady Gaga isn’t involved in the restaurant), and the kitchen boasting Art Smith, who for years was Oprah Winfrey’s personal chef, reviews continued to take a nose dive. Leo Carey, the magazine’s senior editor, described a homemade focaccia as “good in the same way that the garlic bread at Domino’s is good”. While he throws the restaurant a bone, calling a few staples “creditable”, like the lasagna, “an overwhelming paving-stone slab of meat and ricotta with micro-greens on top”, he labels the more “ambitious dishes” as going “uniformly awry”. “Osso buco is more or less just osso, and such bone marrow as there seems to be is oddly chewy,” he notes. Finally, Michael Kaminer, one of two dining-out critics at the New York Daily News, called the Italian spot now frequented by Katie Holmes and Suri Cruise, “an incomprehensible imitation of a restaurant”. “I came with an open mind, despite the fact that most of my colleagues have portrayed Joanne as the worst thing since herpes,” he admits. Mostly taking offense at the restaurant’s fine dining prices, which lack the fine dining experience, he says: “A dry lemon chicken [$28] did have a discernible taste, but only in its zesty skin. Michael Kaminer calls the servers “sweet, solicitous and patient”, however, adding that “they genuinely seem to enjoy sharing the stories behind Joanne’s recipes, like the Sunday gravy Joe cooks for family”. One local, who works in the food industry, said: “I have eaten in the restaurant and I know for a fact that the portrayal in the Daily News was inaccurate and seemed to be more about selling a sensational story than giving an unbiased restaurant review. Yet rave reviews on Yelp! and Zagat praise the food, the servers’ attention to detail and the cozy atmosphere. However, these seemingly misguided appraisals are scattered in between even more disturbing quips from unhappy customers.